Issue 6 – Going, going, going…Gone! Finally gone after 2 years, our house is “Under Contract” and we anticipate moving into a little rental home with our son, John, in S.E. Tampa around Mother’s Day. (Last chance to mail Ministry Partnership forms to 10501 Cory Lake Dr, Tampa, FL 33647. Click here to download the form.) Our youngest son, Bryant is gone…now working as a financial consultant with Accenture in Atlanta, GA; Jordan is completing his 1st year in medical school; and John continues at Tampa General Hospital, and will care for our dogs/rental house. Recently we were asked this question: “What do missionaries do?” Find the answer on our new website under “Our Work”. Also, read our on-line article “Miracles of Love” about miraculous healings at http://www.overflowmag.com, Issue 35, Feb. 2013. Bev just completed a course from the North American Missions Board on “Teaching English as a 2nd Language”. She wants to work with teens/adults who want to improve their language skills since Zambia’s govt. language is English, thus creating an opportunity to share the gospel message. 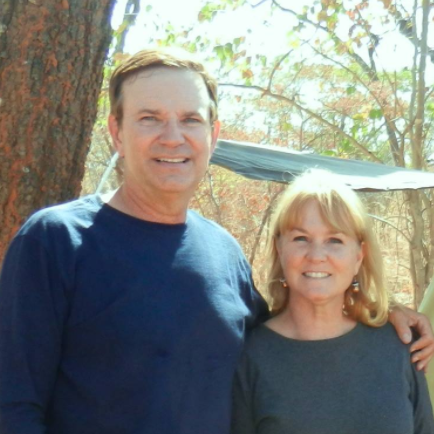 The other 2 questions we answer are: “Where are you going and when?” Overland Missions has assigned us to a little farm town called Choma, at the intersection of 3 Zambian chiefdoms that cover an area the size of Central FL. Like circuit-riding pastors from American pioneer days, but using a modern 4-wheel drive vehicle, GPS, and camping equipment, we drive into the bush to locate these remote people who have never heard their Savior’s name. We have said, “Yes, we are AVAILABLE.” We are learning to be ADAPTABLE. We will be gone when we are ABLE…100% funded. Our goal is to lay the ground work in assisting these remote people spiritually, educationally, and medically. We look forward to forming friendships with village leaders before rainy season starts in November and the dirt roads are impassable. A special thank you to our prayer and financial support partners as we all go forward to new levels of living by faith and not by sight (2 Cor. 5:7), trusting in Him for everything. Posted on April 30, 2013 by fullersmission. This entry was posted in Afica, Newsletters and tagged adventure, africa, Almighty, christ, Falls, god, Holy, human-rights, learning, religion, School, Trip, Victoria Falls – The Smoke that Thunders!, Water, Weather. Bookmark the permalink.